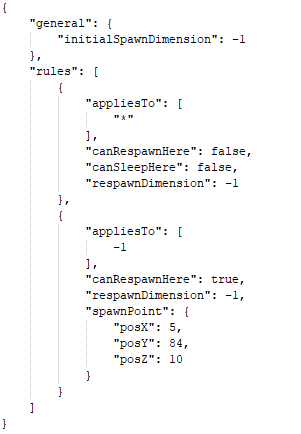 Where, as in an exact "AppData/Roaming/.minecraft/" type file path, are the *.json files supposed to be if you want to have different settings for different worlds? Also, using version 1.1 for Minecraft 1.7.10, /ps set gives no response and creates no files. /ps reload gives "Reloading PerfectSpawn settings". Yes the 1.7.10 version doesn't have the /ps set command. The json files are supposed to be in the main minecraft folder or in a save file folder. How do I prevent this mod from blowing up beds? I will add a config option to change the spawning behaviour in the overworld next version. This mod will cause players to spawn in The End and make beds explode in the overworld. Thanks for the mod. It was just what I was looking for in a map based modpack set on mars. 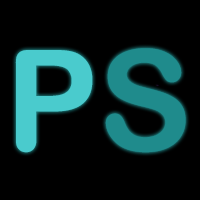 When I add PerfectSpawn-1.1 to my modpack i notice that after 5-10 minutes i start getting major lag. and my memory keeps going up and never settels down. but when i remove/disable PS everything is fine. It does not show anything in the log other then can not keep up skipping while mod is enabled. I am wondering if this setting the world spawn through this mod is done before any chunks are created; meaning upon initial world gen/entry or the first player. I am also wondering if it does change world spawn before world gen, if this mod, directly or indirectly also changes where overworld strongholds are placed. Meaning one can predict by initial spawn point how far one should look for strongholds in overworld. If we don't know where strongholds are generated it could take much much longer to find them. Personally I like my spawn point to be at x-zero and z-zero. I'll create new worlds until I find one where 0,y,0 is in a biome I want to start from. I've often though of creating a mod where x,y,z is simply displayed with just simple math "translation" so spawn "looks" like it is at 0,y,0. The only issue with that is /tp commands and command blocks would not use the "translated" coordinates. I like the notion of player-specific spawn points. I'd like to see the ability to toggle displayed coordinates where they can show the coordinates relative to the player's individual spawn. The notion is tied to the opposite of how so many multiplayer worlds are made: the world has a "center world spawn" that new players come into with often a "hosting" castle or town. Then new players are expected to run as far from world spawn to find a piece of land they can start fresh with. Often this is irritating to run the gauntlet (of players who've come before you) to find a wild place of your own when playing in well established/long played multiplayer worlds. Imagine new players spawning 1000 blocks from any other existing homestead and they need to find where anyone else/everyone else has come together. Yeah that is a map-size/chunk server load issue. I'm actually not sure about the worldgen thing :D. You would have to try it. I assume the "seperate player spawn" was a suggestion. Will look into it. At your leasure, thanks for considering. I haven't found any strongholds lately so I couldn't say. How do you determine the Dimension Number? "/forge tps" Lists all dimensions with their respective id. Doesn't work. During 1.8 Forge Server startup it crashes. 1.3 and 1.2. This only crashed after I added the mod to the mods folder. I seem to be crashing with Mystcraft Dimensions...mind you I have an error report I believe is for Xcompwiz, but I was curious if I have to specify the "_MYST" before the dimension ID? I will try it either way, since The worlds I have created for my Modpack are safe and sound. Just on Server I wanting to force players to a 100% safe environment for starting out. Can I put a request in? Can you add the ability to set spawn point within a certain parameter? So I could say set the spawn area in between a 9x9 area or a 10,000 x 10,000 area? That would create some really fun properties and is a feature I've always wanted to see.